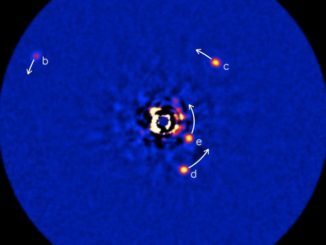 Using adaptive optics and a high-resolution spectrograph, astronomers have confirmed the presence of water in the atmosphere of a planet 130 light years away. Stars forming in galaxies appear to be influenced by the supermassive black hole at the center of the galaxy, but the mechanism of how that happens has not been clear to astronomers until now. Scientists will now be able to measure how fast the universe is truly expanding with the kind of precision not possible before. 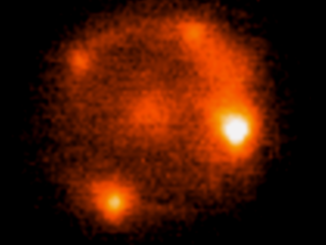 This, after an international team of astronomers led by Stockholm University, Sweden, captured four distinct images of a gravitationally lensed Type Ia supernova, named iPTF16geu. 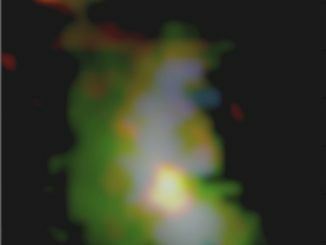 W. M. Keck Observatory has captured the very first successful science data from its newest, cutting-edge instrument, the Keck Cosmic Web Imager. 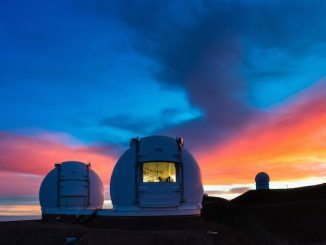 An international team of scientists has detected and confirmed the faintest early-universe galaxy ever using the ten-metre Keck II telescope on the summit on Maunakea, Hawaii. 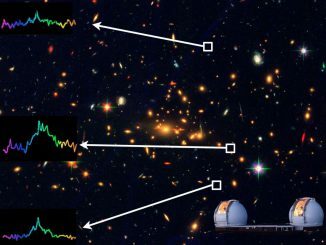 The team analysed three separate images of the object gravitationally lensed by a foreground galaxy cluster, revealing the distant galaxy as it was 13 billion years ago. 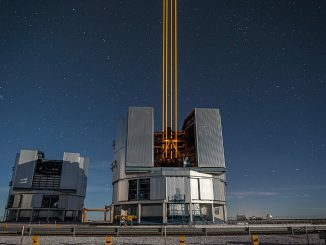 ESO’s Paranal Observatory in Chile hosted an event to mark the first light for the four powerful lasers that form a crucial part of the adaptive optics systems on ESO’s Very Large Telescope. Attendees were treated to a spectacular display of the most powerful laser guide stars ever used for astronomy against the majestic southern sky. 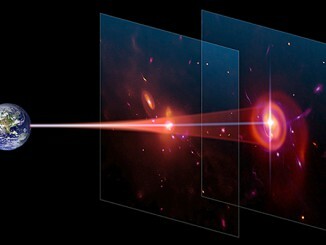 The early universe was a chaotic mess of gas and matter that only began to coalesce into distinct galaxies hundreds of millions of years after the Big Bang. It would take several billion more years for such galaxies to assemble into massive galaxy clusters — or so scientists had thought. 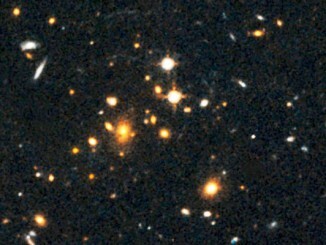 Now astronomers have detected a massive, sprawling, churning galaxy cluster that formed only 3.8 billion years after the Big Bang, some 10 billion light years from Earth. Using the world’s largest telescopes, researchers have discovered ancient cold gas clouds larger than galaxies in the early universe. 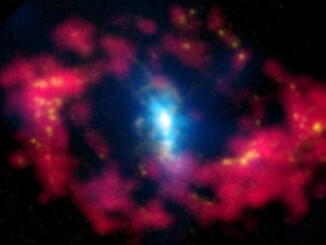 The discovery has helped solve a decades-old puzzle on the nature of gas clouds, known as damped Lyman-alpha systems, or DLAs. A team led by Dr. Sebastian Hoenig from the University of Southampton has developed a new way of measuring precise distances to galaxies tens of millions of light-years away, refining the distance to NGC 4151 and providing a way for accurately determining black hole masses. 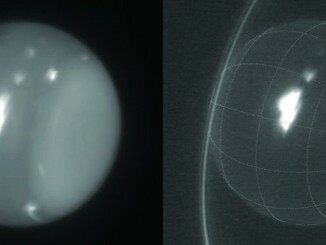 Far from always being a featureless blue-green dot in backyard telescopes, both amateur and professional astronomers have recently imaged extreme weather features on Uranus.